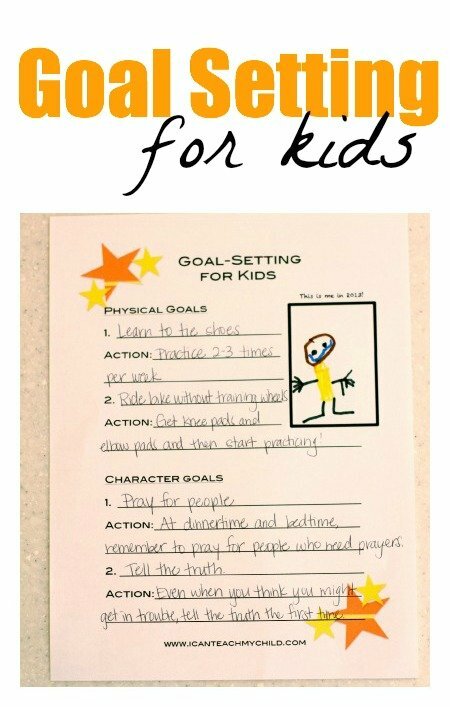 Goal Setting for Kids (free printable) - I Can Teach My Child! This post was first published Jan 2013. Updated 2019. It’s the New Year, which means everyone is making resolutions or goals for the coming year! Why not include our kids as well? We were talking with our boys the other night about some things we would like for them to work on in the coming year, both character and developmental skills. (obedience, tying shoes, etc). My husband and I decided that we would like each member of our family to set a few goals for the coming year–including our 3-year old and almost 5-year old! So I decided we needed to create a goal setting worksheet for kids! I plan to laminate ours and hang them on our bulletin board. I divided the kids’ goals into two types: Physical Goals and Character Goals. There is space for two of each type of goal on this printable. 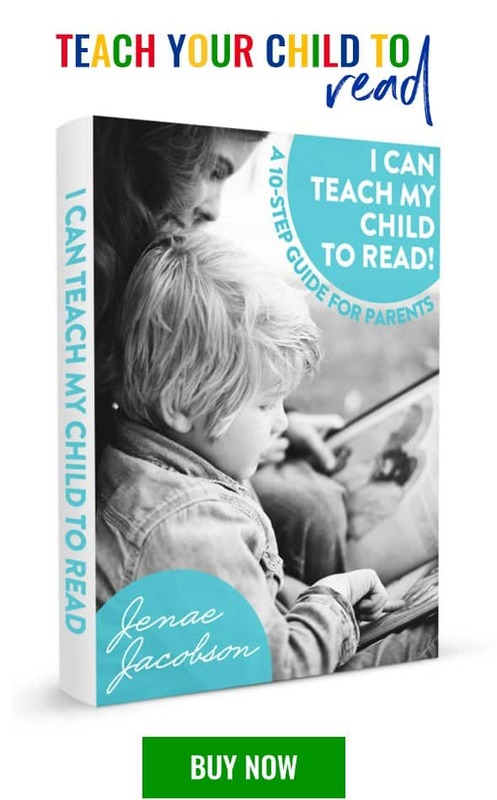 Underneath each goal, I also have placed an “Action” line, which should briefly detail what steps need to be taken in order for the child to accomplish that specific goal. The character goals are a bit more abstract (at least for our children), so it was a little more difficult to come up with “actions”. I thought our printer was out of commission, so we started to write them on a separate piece of paper first. The above is Big Brother’s goal that he came up with all on his own. 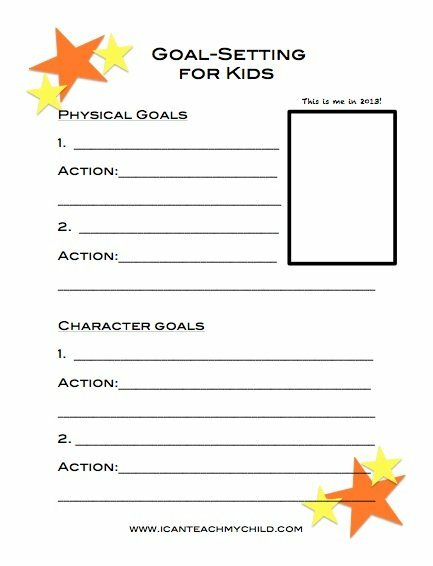 Print out your own Goal Setting Printable for Kids here. Awesome! I have a 4 year old and I want to teach him some more responsibility. I like how this helps them to make it personal and practical. Thanks! 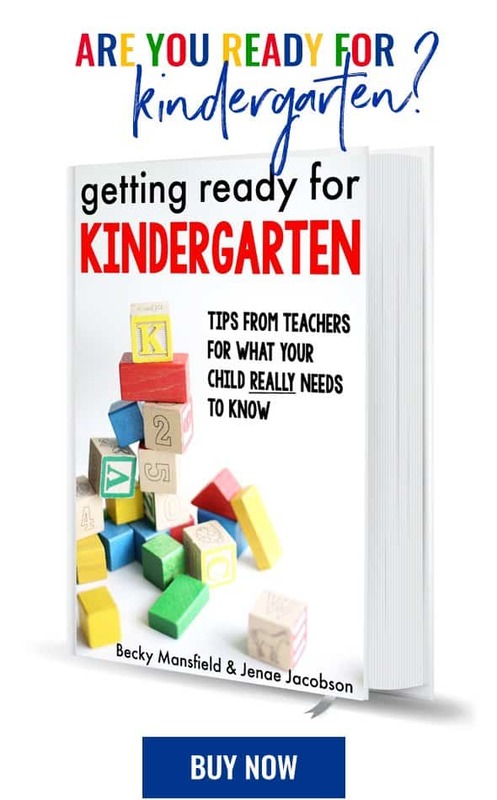 I downloaded, but changed the phrase “For Kids” to “for this six-weeks” before printing. I handed this to my high school students to be completed and to keep in their six-weeks folder, so at the end of the term each student can go over them and see what they have accomplished. I feel it is important for the students to be aware of what they seek, or if they seek anything at all, because time passes so quickly, and soon they will look back and see that they maintained no control at all over their lives…unless they planned and set goals! Thank you!!! I needed something like this. I am excited to have something the kids can do and be a part of instead of me feeling frustrated. We did the fruit of the spirit’s Apple tree for months and we really saw significant change in behavior and attitude. Anytime they showed kindness, self-control etc. they’d write the word on an apple piece of paper and stick it to the tree!! I saw one goal was riding his bike – here’s a tip! Take his pedals off and have him practice coasting on a very slight down hill. It will give him the hang of balancing without worrying about the pedaling part. When his balance is good, add the pedals. We did this with my 5 year old and he learned how to ride his two-wheeler within a day, and he is not a particularly physically gifted child. Great idea. I linked to you at: http://straightfromthepages.com/i-resolve-to/. Thanks for sharing! This is a great idea! 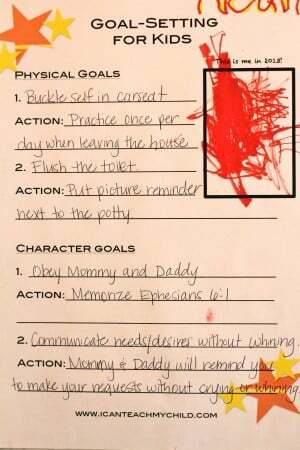 I love that flushing the toilet goal…I have several kids who could work on that one!! 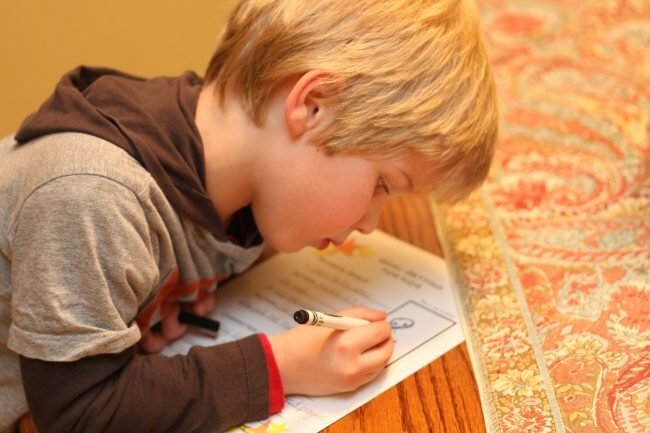 Great goal worksheets. For setting and getting goals, you may want to check out a goal setting app called http://GoalsOnTrack.com, a very nicely built web app designed for tracking goals and todo lists, and supports time tracking too. It’s clear, focused, easy to navigate. thanks for sharing this! ive been encouraging my kids to make their goals for the year too! I think this is a great activity for the whole family to do. My husband and I have our own goals and doing this with our daughters will help them see how even we need to break goals down into smaller more manageable steps. I love this, but is there a way to change the template to say 2013?